When thinking about marketing, you need eyes. Eyes seeing the brand. Schools are just one of those places where you get a lot of eyes. Who else sees the brands? Parents. And parents fuel the schools in arguably the biggest possible way. There’s no denying the potential schools have to promote any product. This is particularly the case if you’re in the education business. Do you sell education-related products or services? 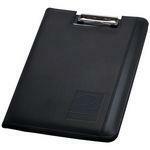 Branded clipboards as incentives for promotional marketing may go a long way, particularly with teachers. Education happens to one of three fields benefiting the best from custom clipboards, so please, please, please, if you happen to be in this field, definitely consider this. Some products or services may include…. The sky’s the limit. Whatever product or service you sell, the cherry on top is that promotional brand product you offer to ensure your name stays on top of the minds of many teachers — and the principal. Maybe even the janitor! Right here. Right at BRAVA Marketing, your lead source for promotional products. You can, of course, explore this link for some of the designs we have — and as always, you can contact us immediately. We can help you with the selection you’re thinking of and the amount you’re considering. By the way…. Class is dismissed.